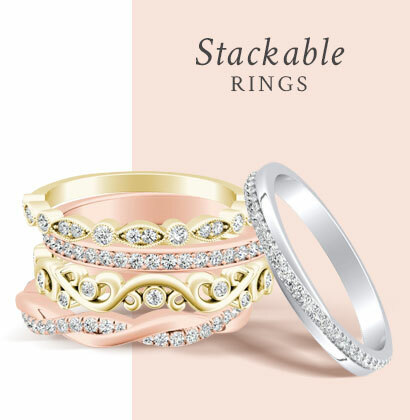 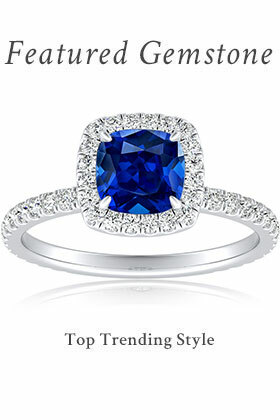 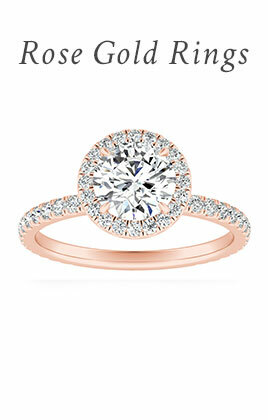 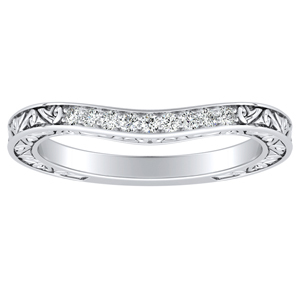 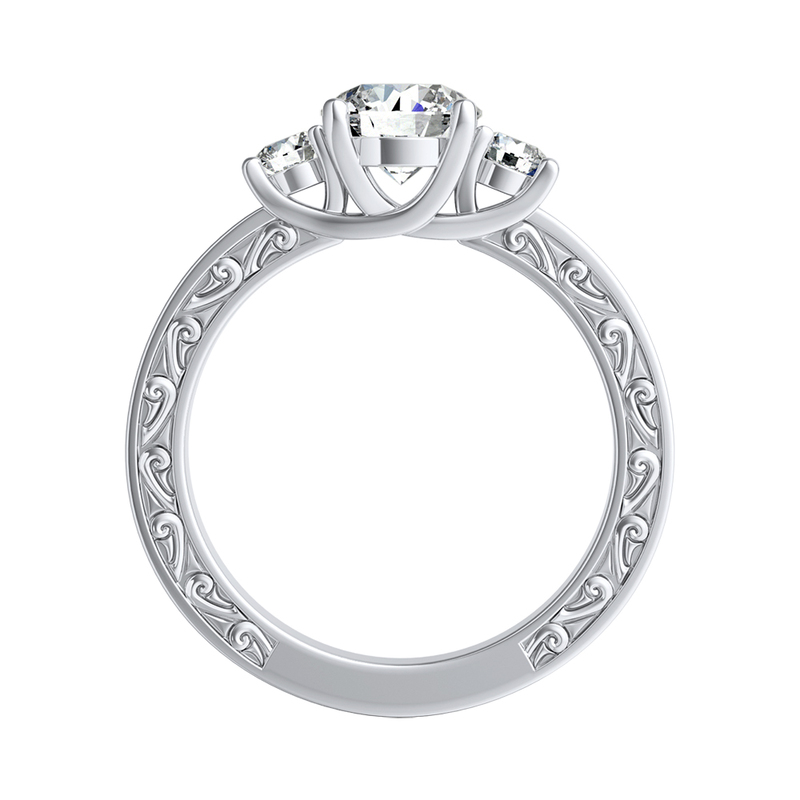 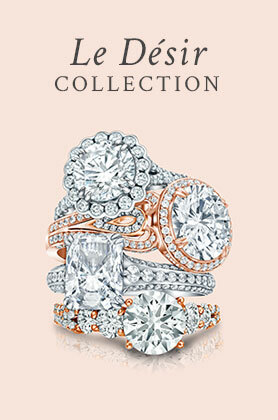 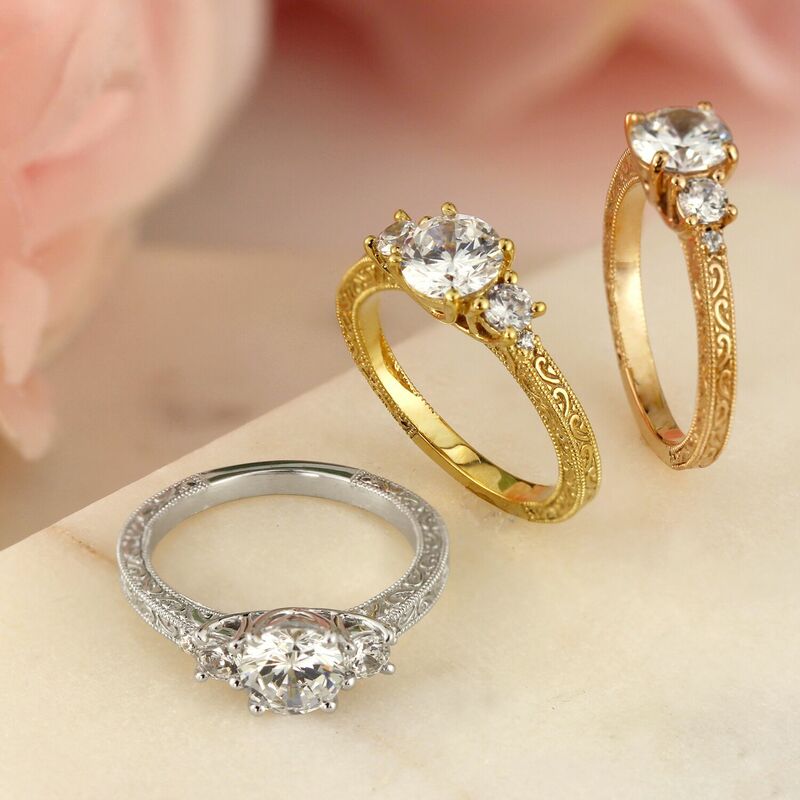 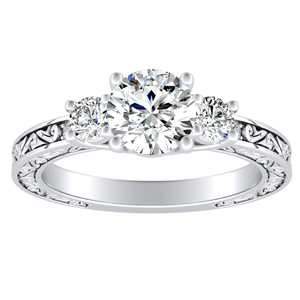 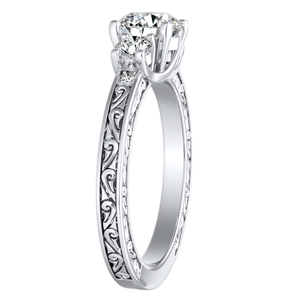 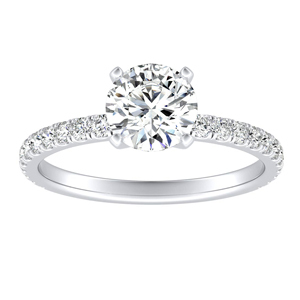 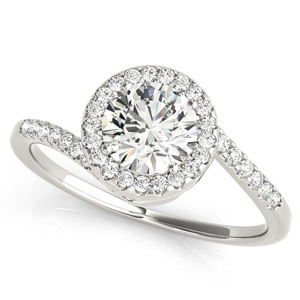 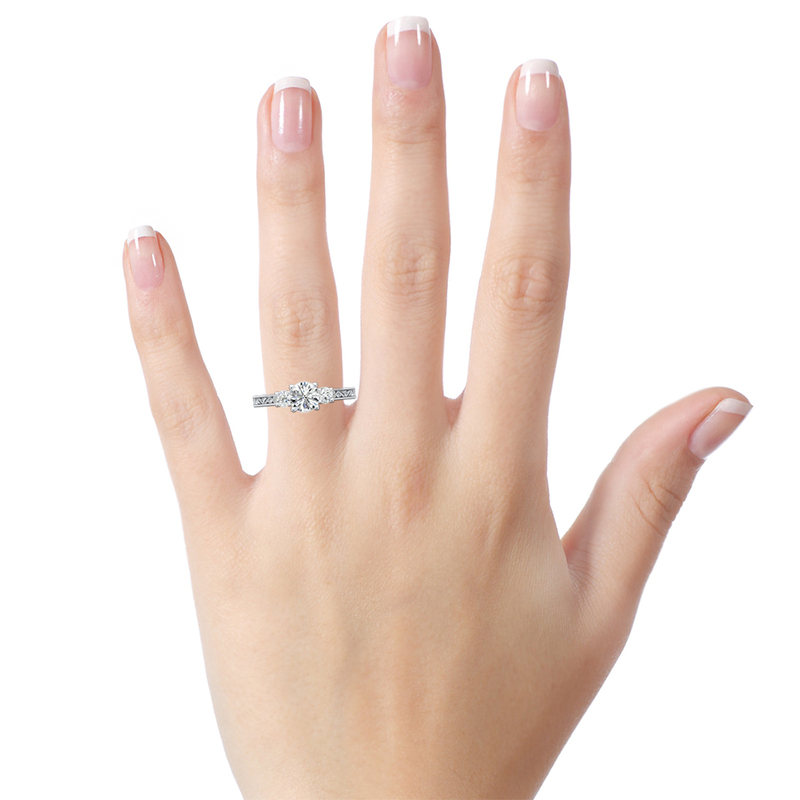 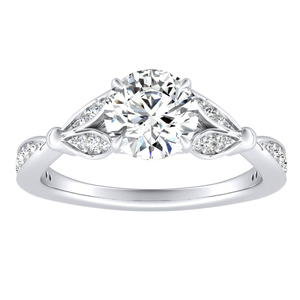 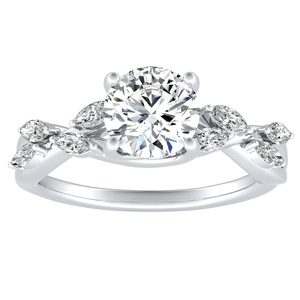 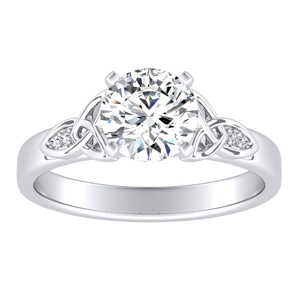 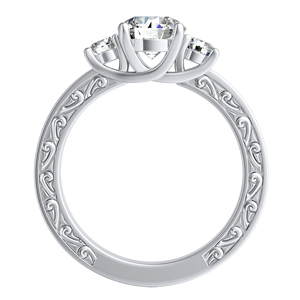 Vintage style three stone engagement ring flaunts detailing on the sides and profile with the engraved details. 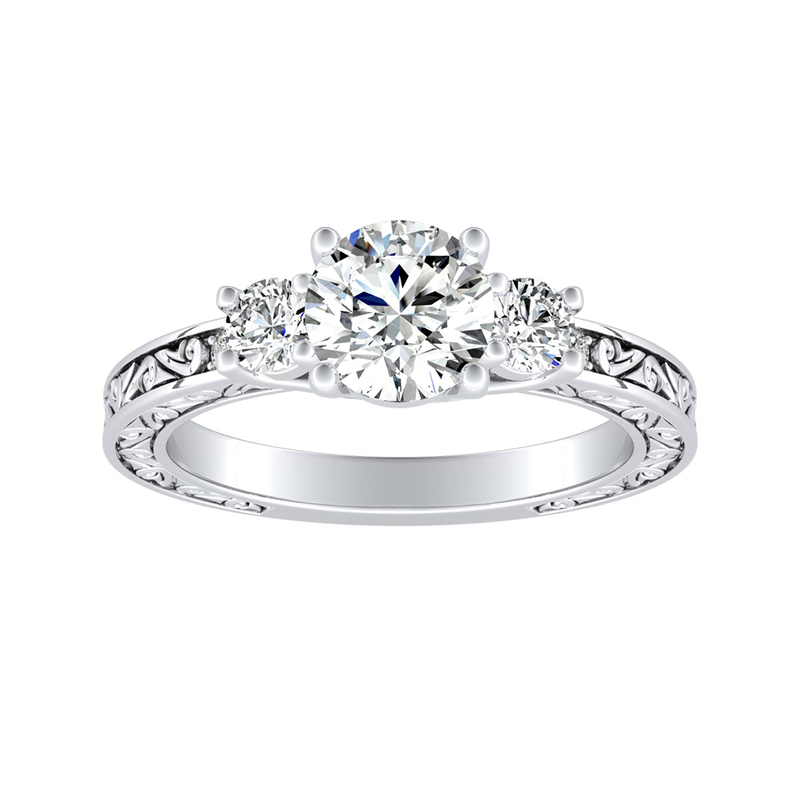 Adding to the antique style of this timeless 3 stone diamond engagement ring. 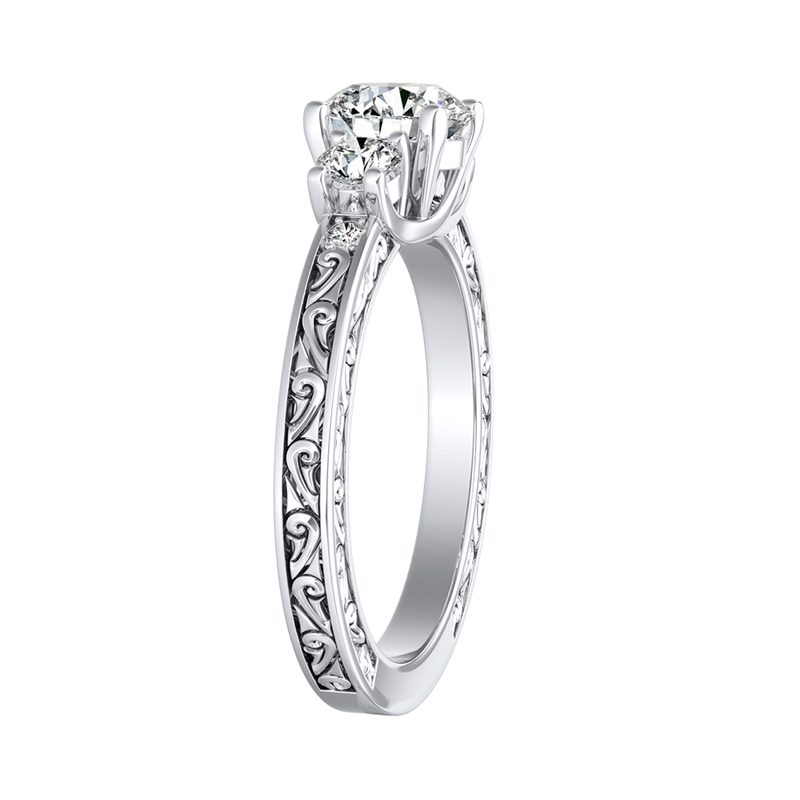 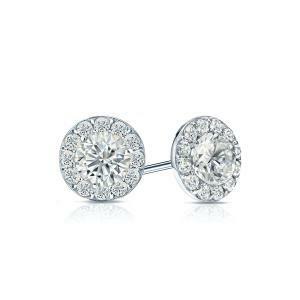 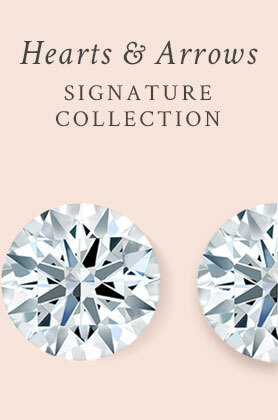 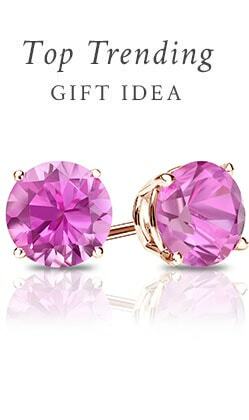 Set in 14K White Gold.